Blizzard’s Diablo has now achieved such a level of notoriety that an entire genre is now based on its name. While many people refer to this genre by more generic terms such as action-RPGs or hack and slash MMOs, nothing gets the point across faster than “Diablo clone”. The commonality between these games is tons of loot, fast paced combat, lots of enemies on screen, cooperative play, and character build variety. Different games accomplish this in different ways, and it’s hard to beat free. Thus, I’ve compiled a list of what I think are the 5 best free diablo clones currently available, along with who they best appeal to. 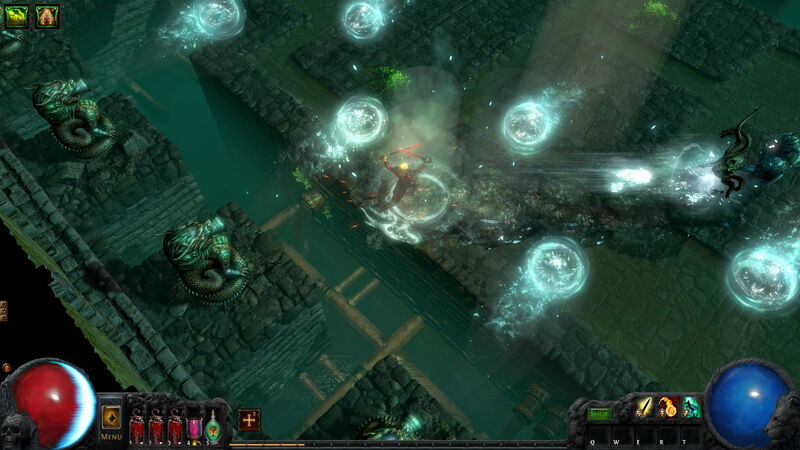 Path of Exile launched about a year after Diablo III. Whereas most games in a similar genre typically benefit from a first mover advantage, Path of Exile probably received a nice boost from its later release. You see, the latest Diablo release changed a lot of things from Diablo II. It wasn’t an iterative improvement, but an entire overhaul. The problem with that is Diablo II is and was a great game. Many People weren’t looking for a reworking of the wheel, but changes to improve on archaic design flaws of Diablo II. In many ways, Path of Exile did both. It’s a game with its own unique vision but stays true to what made Diablo II a classic: trading, impactful character building, PvP, and crazy amounts of loot. There’s a ton of character build variety in the game with its huge passive skill grid, reminiscent of Final Fantasy X’s sphere grid. Weapons and armors with numerous effects are important, but Path of Exile steps it up with its skill gems. Skills gems are socketable items that provide active abilities for players to use. These gems also level up during play. Instead of learning skills on level ups, you “learn” them by equipping skill gems. As any Diablo fan will tell you, finding new loot is the best part of the game. In Path of Exile, not only do you find equipment, you find new skills to mix and match with your build. Between passives, skill gems, gem modifiers, and randomized loot, there’s a near limitless number of ways to build characters. What’s truly impressive is how many players enjoy creating new characters just to try new builds. Theorycrafting is definitely alive and well in Path of Exile. While there’s no way to fully respec, you can also make small changes to your passive skills. No longer do you need to fear an errant click ruining your build like in Diablo II. And more than anything, it’s these small things that make Path of Exile most appealing. The character sheet is chock full of information. Potions refill on their own and a variety of different potion combinations impact builds in their own unique way. Inventory management is now a breeze. Instanced dungeons and loot runs with friends is now faster, more intuitive, and easier to setup. Path of Exile might be the best free Diablo clone simply because it’s the game that actually plays most similar to Diablo. It’s also notable for lacking any “pay for power” cash shop items. Read our full Path of Exile review or play it now. HeroWarz is the latest free MMO on this list to follow in Diablo’s footsteps. Releasing earlier this year, it surprised a lot of people, myself included. Expecting another generic anime MMO, I braced myself for the worst. Ultimately though, I found the game to be a very enjoyable experience. First, the style is a welcome change from the dark and dreary colors of most dungeon delving ARPGs. And unlike Diablo III, it actually fits the atmosphere. Instead of playing different classes, players select characters that they can freely swap between. This plays out similarly to different characters in MOBAs like League of Legends or DOTA2. As someone who had spent hundreds of hours playing League in the past, I really enjoyed this setup. 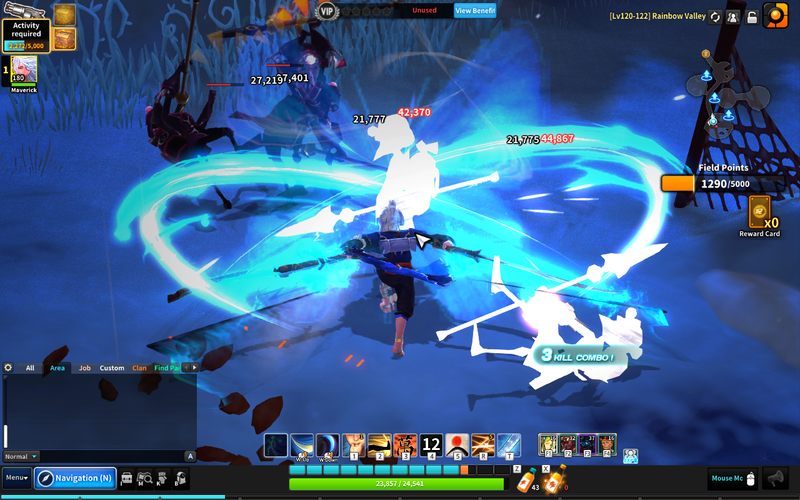 Additionally, the PvP mode also feels like a MOBA so HeroWarz ends up offering two unique experiences in one package. 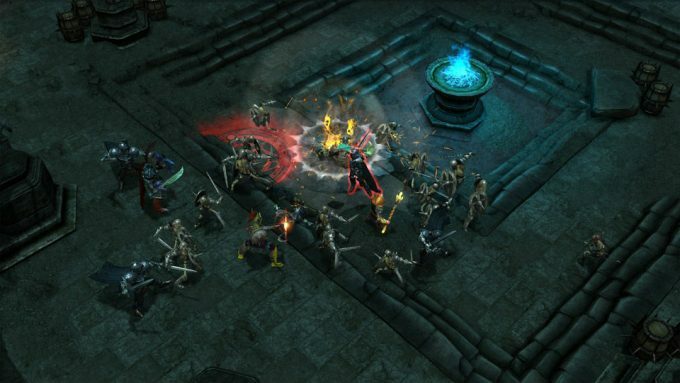 The action is a lot more frantic than other Diablo clones. Enemies basically rush at you in waves (rather than you going to meet them). Players can get overwhelmed if they’re not ready or playing their characters correctly. Healing potions also work on a 30 second timer rather than using a limited supply, which I prefer. The name may be really dumb (seriously, a z replacing an s is so 1998), but HeroWarz is a welcome addition to the stable of free Diablo clones. Read our full HeroWarz review or play it now. Drakensang Online doesn’t innovate as much as Path of Exile or HeroWarz. It’s also much older, releasing in 2011. While it does offer a standalone client, Drakensang Online’s biggest plus is its accessibility. Any somewhat modern computer can run it straight from a browser. And for a browser title, it looks pretty damn good. One of the cooler design decisions for a free to play game is that Andermant, Drakensang’s premium currency, drops from monsters and chests. While the cash shop plays a larger role than other free Diablo clones, it’s mitigated by this simple feature. The gameplay itself is solid but not spectacular. There are four unique classes in the game, all of which are surprisingly well balanced. Customization comes in the form of three different ability/attribute trees. You won’t make many agonizing character build choices, but leveling does bring some interesting decisions. The itemization is solid. The quests are solid. The overworld map has fun places to explore. The color palettes and enemies fit the tone. Everything works well in Drakensang. While there’s not a lot of flash here, it’s a very solid game. Read our full Drakensang Online review or play it now. Guardians of Divinity is another browser based MMORPG. 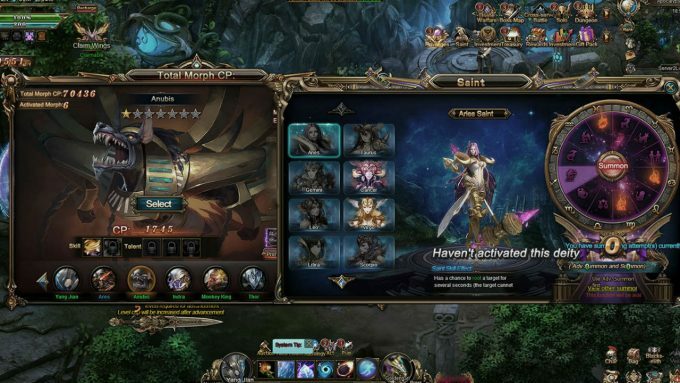 Whereas Drakensang Online feels first and foremost a Diablo-esque game, Guardians of Divinity feels primarily a browser game. By that, I mean to say it’s much simpler and dumbed down. The quests are uninspired and the whole story is filled with complete randomness. So why include Guardians of Divinity on this list? Guardians of Divinity’s appeal lies in its autoplay system. With relatively minimal input, players can instruct their characters to kill mobs, pickup loot, and turn in quests. Players will want to check in occasionally, but it’s a perfect game for playing at work. It’s also perfect for getting ahead without really putting in any effort. One of the most divisive issues when it comes to ARPGs is the grind to level new characters or get new loot. While I think the other four Diablo clones listed have improved core gameplay components, the real joy is still in finding sweet new gear to equip. Guardians of Divinity offers players. Like many Facebook games, it’s a bit hollow and fairly shallow. But it’s also addictive to see new rares in your inventory every time you alt+tab over. Read our full Guardians of Divinity review or play it now. Marvel Heroes is perhaps the best video game use of the Marvel license yet. The game was pretty awful at launch but has turned into something pretty remarkable. Players in Marvel Heroes can unlock dozens of iconic heroes and villains, each with their own unique skill sets. Players can also switch characters mid-mission and take part in MOBA PvP like in HeroWarz. Each of these characters have their own unique tree that allows for a staggering number of builds, given the breadth of character selection. The core gameplay of Marvel Heroes is fairly similar to other Diablo style games. Where gameplay gets really interesting is with its MMORPG components. First, Marvel Heroes has raids. These are ten person raids that are meant to challenge groups. The green/red difficulty scale is akin to World of Warcraft’s normal/heroic scale. In true ARPG, hack and slash MMO fashion, the loot can be pretty amazing for overcoming raids. It’s a worthwhile endgame goal that sure beats Baal runs. Players can also craft gear from components in between missions for even more loot based fun. I find playing Marvel Heroes to be most similar to playing Diablo III. Players can respec freely an unlimited number of times. The combat pacing mirrors the most recent Diablo and some of the levels eerily feel like Blizzard even designed them. Now, I’m not saying this is a bad thing. Marvel Heroes (and Diablo III) are very polished with easy to grasp gameplay and tons of progression. However, these similarities are noteworthy for deciding whether Marvel Heroes is right for you. 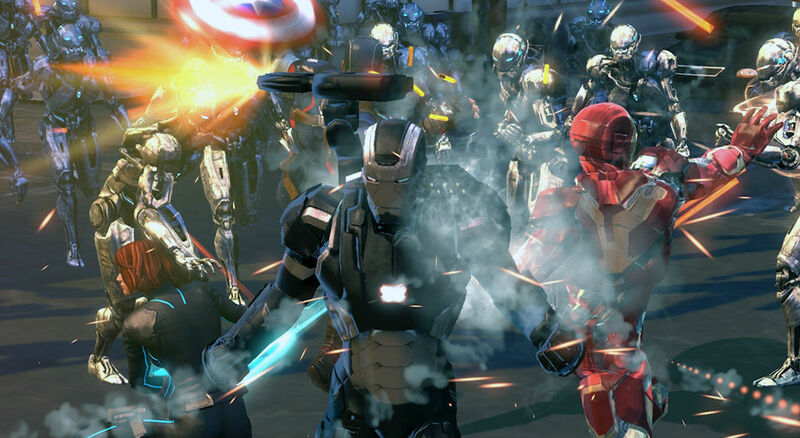 Read our full Marvel Heroes review or play it now. I’m really impressed with what’s available for free to play Diablo clones. I can truly see the appeal of all of the above games. While I don’t have near enough time to grind for loot in all of them, an occasional mission might just hit the spot. And after a while, maybe one will emerge. Which one will it be for you? This entry was posted in Top X Lists and tagged Diablo, Diablo II, Diablo III, Drakensang Online, Guardians of Divinity, HeroWarz, Marvel Heroes, Path of Exile on October 6, 2016 by The Bro. Aesthetically Path of exile is similar to Diablo but the game mechanics, the skills, gems, items, are totally different. Although, we cannot really blame those people who are saying Path of Exile is trying to replicate Diablo but I don’t think the developer has that in mind. 🙂 But I am certain every game developer got an inspiration on every game they played or currently playing.